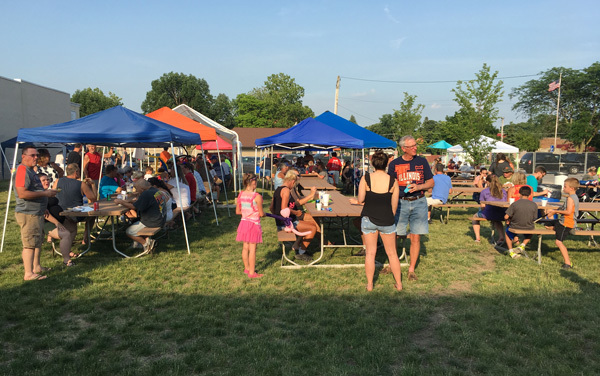 The 3rd annual Taste of Minonk drew a large crowd in spite of the 93 degree heat and humid weather. Tents were put up to provide shade for the crowd and late afternoon shade provided some relief from the heat. Below are photos of the event. 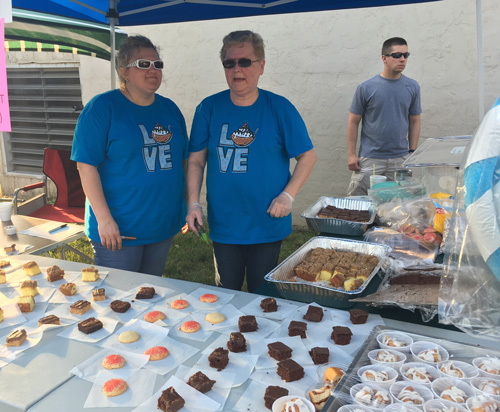 The MInonk Business Association is to be commended for the hard work of their members in providing an excellent event for the community. 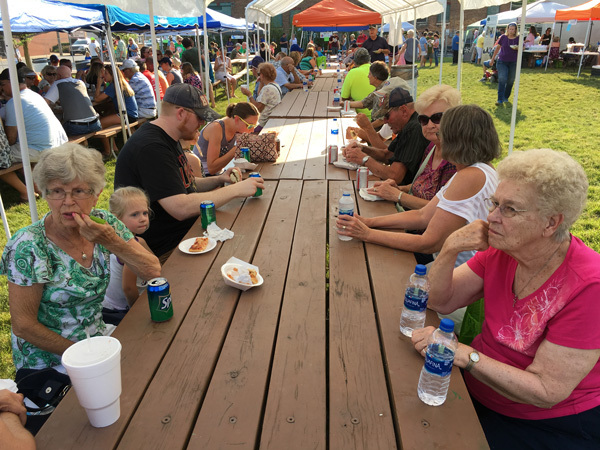 Long rows of tables under a tent provided relief from the heat. Iris Ketchmark on the left and Marlene Falk on the right don't seem to mind the heat. 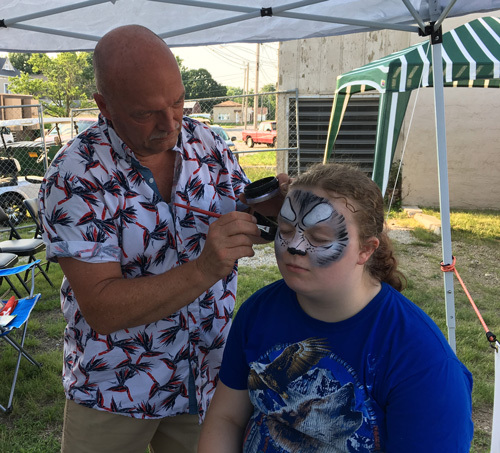 Lee Ann Stillwell gets a face painting job. 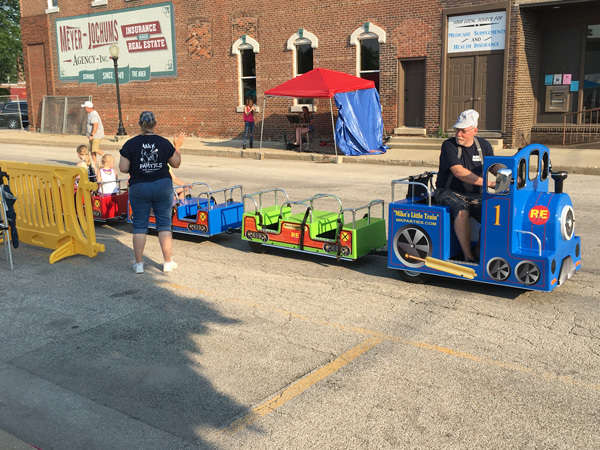 Kids get a ride on a train. Everyone was dressed in skimpy summer wear and shorts. 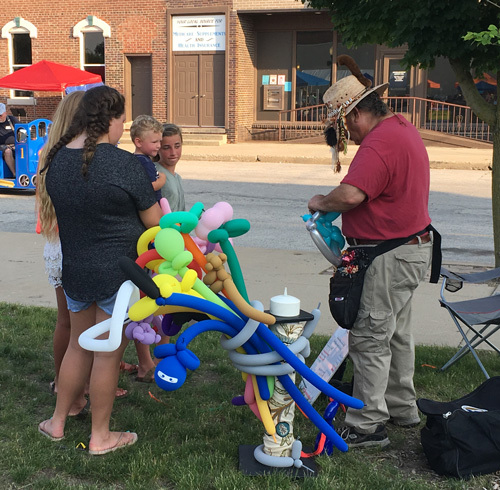 The balloon man was there. The Sweet Shop provided tasty desserts for the crowd. 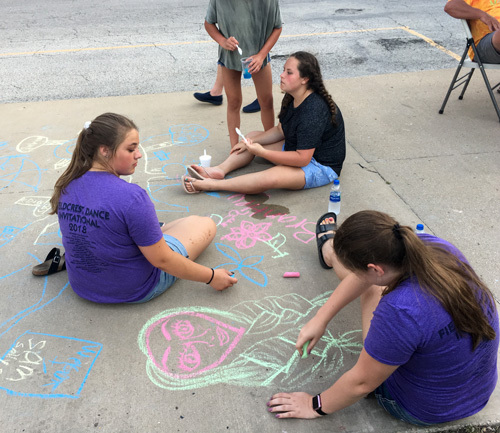 Kids weren't the only ones doing sidewalk chalk art. 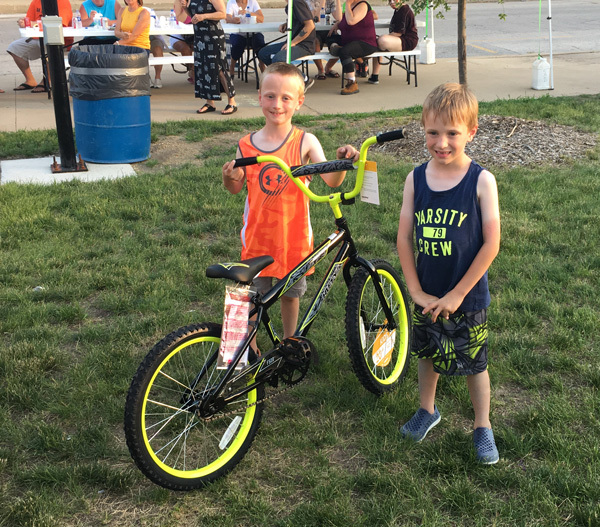 Samson Bellow won a bicycle in the raffle drawing. 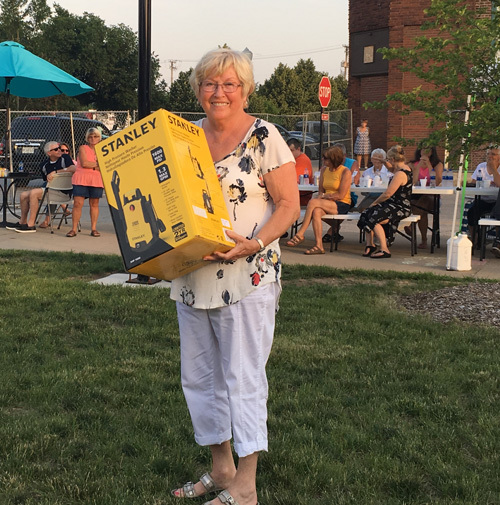 Beverly Meyer won a portable power washer. 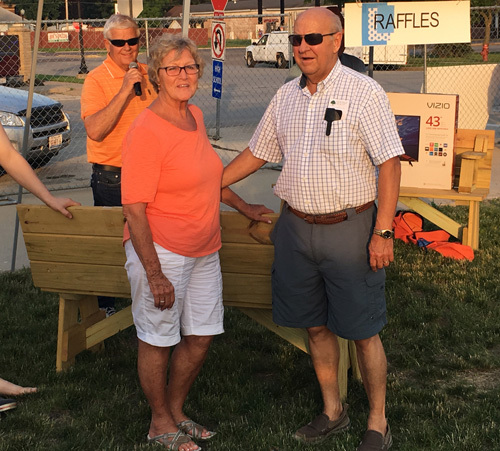 Shirley and Richard Decker won the folding bench/table. 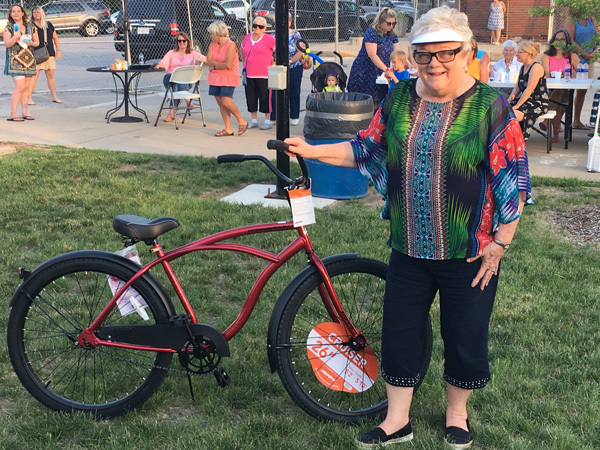 Emily Bane also won a bicycle. 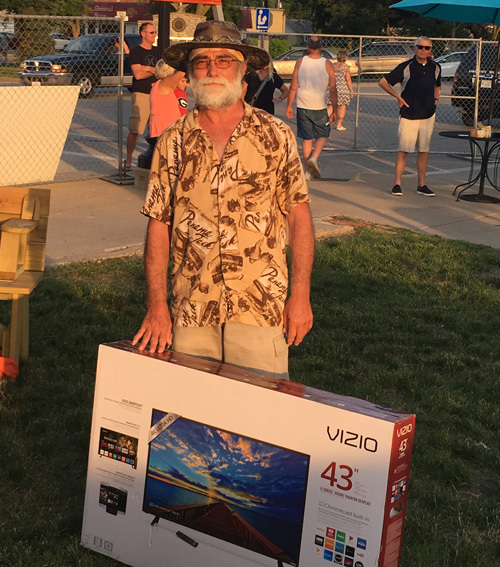 Rich Hodge won the television.